Domestic LPG will be supplied through the reticulated system pipeline to the multi storied housing apartments and housing colonies. The individual billing will be made on monthly basis as per the usage of the individual apartment. For bigger housing colonies LPG will be supplied by tanker trucks to the tank installed in the premises. 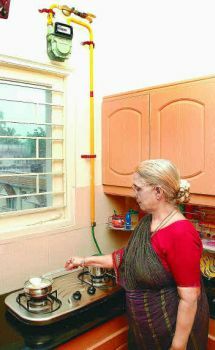 For smaller housing colonies LPG will be supplied in cylinders. Copyright © 2012 indian AUTO gas Company Ltd.